User – How do I create a task not assigned to a contact? 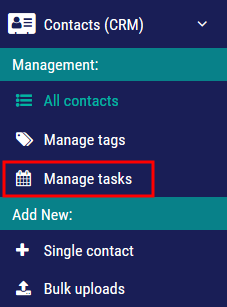 Step 2: Click on the Manage tasks tab just below. 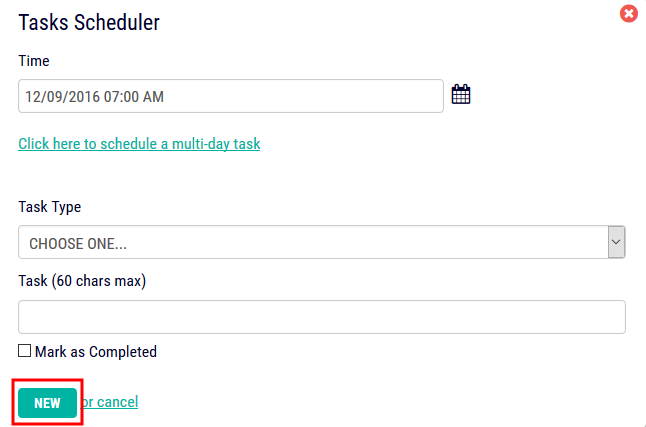 Step 4: Fill out the Tasks Scheduler pop-up then click NEW.